Composed by Georges Bizet (1838-1875). Arranged by Stephen Rockey. Romantic Period, Opera, Graduation, Recital. Score, Set of Parts. 17 pages. Published by Stephen Rockey (S0.241227). 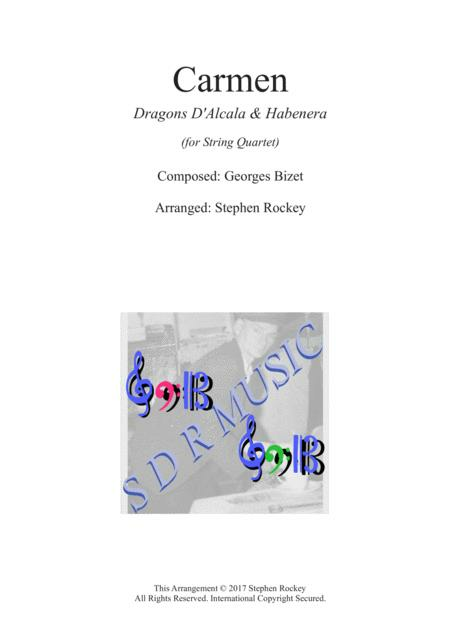 Two pieces from Carmen: Dragons D'Alcala and Habenera for String Quartet. A gentle lyrical arrangement, suitable for a concert, a garden party, recital or just background music. It is enjoyable to play and not too hard.